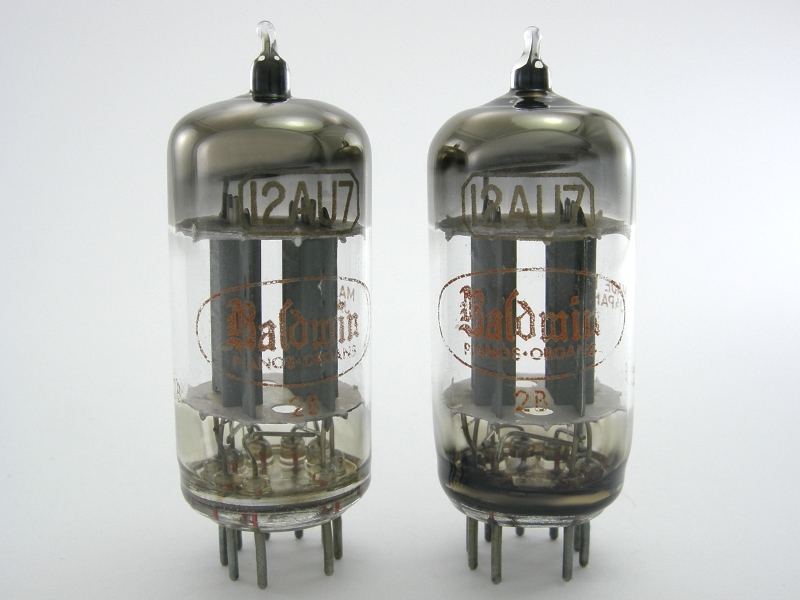 The Toshiba 12AU7 tubes in this precisely matched pair were made in Japan and labeled for Baldwin organs. They have long gray plates and halo getters. The orange print on the glass has the Baldwin logo. Both tubes test as new with balanced sections. They are precisely matched for both current draw (mA) and transconductance (Gm). They ship in new white boxes. These tubes are sold as a matched pair. Photo is a sample pair from the lot. Singles, when available, are listed as Item 84.